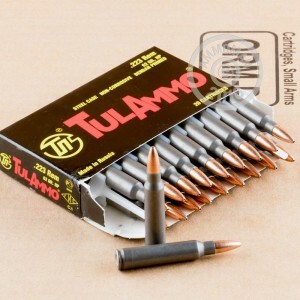 If you shoot a lot of .223 Remingtion in your AR-15 or other .223/5.56 NATO rifle and don't reload, this steel-cased ammo from Tula is one of the best deals around! This ammunition fires a heavy 62 grain hollow point bullet suitable for both range and hunting use. Its external ballistics are similar to those of M855 ball ammunition, with a muzzle velocity in the 3,000 fps range. 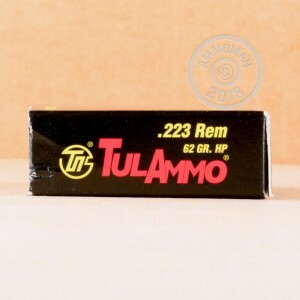 Buy this 1,000 round case or any other items totaling $99 or more from AmmoMan.com to get free shipping!